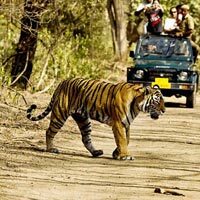 Bearing a royal significance, Ranthambore National Park offers a spectacle of the wild animals in their predatory forms. 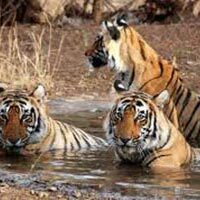 An example of Rajasthanâ��s Project Tiger conservation, this is also the home for a number of other rarefied species of wildlife such as Langur, leopard, hyena, wild boar, bear, marsh crocodile, jackal, deer, etc. 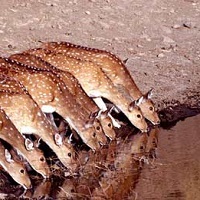 The year 1957 gained it the name of a wildlife sanctuary and 1981 saw it emerging as a national park. The Padam Talao and the Jogi Mahal form unique feature of this national park where the chief food source is the wild buffalo, boar and the swamp deer called the Barasinsga. Jeep safari and the Canter safari are the means which add to the spectacle of this region. 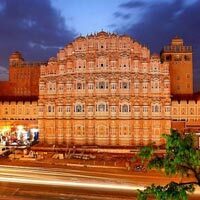 The Sawai Madhopur Lodge, Vanya Vilas Hotel, Jungle Niwas Hotel, Hotel Ankur Resort, Dev Vilas Hotel, The Pugmark Hotel, Aman-I-Khas Hotel, Tiger Den Hotel and Tiger Moon Resort.